Kevin G. Blackwell is a man on a mission to deliver uplifting and transformative spiritual messages to the world. 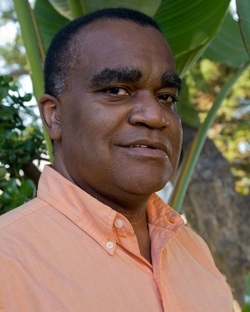 An awakened, African American, spiritual leader schooled in the traditions of past spiritual masters, Blackwell is focused on helping humanity fulfill its promise by teaching spiritual principles and facilitating societal changes that will enable us to take a quantum leap forward in consciousness in the coming generations. With his combination of spiritual insight, media savvy, intelligence and business experience, Blackwell is poised to become an important spiritual teacher and leader of the new millennium. He intends to communicate positive ideas to the world through books, workshops, seminars & public appearances, television & radio programming, films, music, the Internet and through his one on one counseling work with clients from all walks of life. Blackwell is a New Age practitioner with over 30 years of experience in variety of areas. He has worked as an intuitive and spiritual counselor who utilizes a variety of traditional and nontraditional therapeutic techniques in conjunction with tested coaching methods to help people connect to their deeper selves and to live more fulfilling lives. He is an inspirational and motivational teacher who gives lectures, workshops, seminars and classes covering the full range of New Age thought from alternative healing to Zen. He is an expert astrologer and tarot card reader. He interprets dreams and can communicate with angels, spirit guides and distant and deceased loved ones. He has trained with the renowned past life regression therapy guru, Dr, Brian Weiss, and can provide insight regarding past lives and is mastering the art of using hypnotism to regress clients to past life memories. He is clairvoyant and clairaudient and is capable of analyzing auras and helping clients to develop their own psychic gifts. In 1979, as a 16 years old freshman in college, Blackwell experienced a “spiritual awakening”. Within a period of one week, he began having prophetic visions, hearing voices, seeing auras and developing healing abilities. In order to understand what was happening to him and why, he began to study various religions, philosophies, metaphysics and New Age thought. His study has continued to this day and recently culminated in September, 2007 with a profound and continual experience of enlightenment. One major component of his study has been ongoing conversations with spiritual teachers of the past. As a result of his special connections with spiritual masters throughout history, Blackwell has a unique understanding of spiritual leadership, of humanity’s history, destiny and potential and of what is required to help society as a whole evolve to a happier and healthier state. In additional to his spiritual insight and psychic gifts, Blackwell is traditionally well educated. He started college at the age of 15 at Columbia University and received his BA in Religion from Hunter College of the City University of New York. He studied film making at Columbia University Graduate School of the Arts and acting at the esteemed American Conservatory Theater in San Francisco. Most recently, he received his MBA from Duke University.